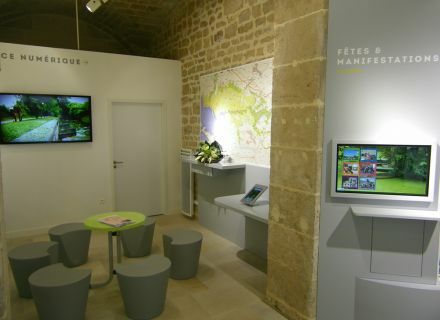 In the midst of the Winter Olympics, the Tourist Office “Niort Marais Poitevin Vallée de la Sèvre niortaise” has completed its descent into the allotted time ! The new home has just been inaugurated this Thursday, February 20, 2014 and is open to visitors from Friday, February 21, 2014. Located under the arches of “Les Halles” in 2 Rue Brisson, the new premises are close to the center, Dungeon and river “Sèvre niortaise”. Stone, brick, steel and glass blend furniture evoking the water to provide a beautiful space equipped with the latest technologies. Different digital tools are at the service of the advisors to enrich the visitors accompaniment. Imagine a large crowd to the terminal reception and no advisors available. 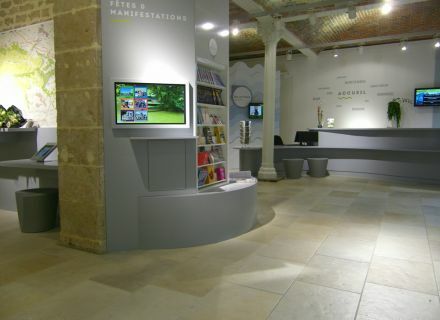 Self-service digital tablets, photo frames and touch screen allow vacationers actively wait. 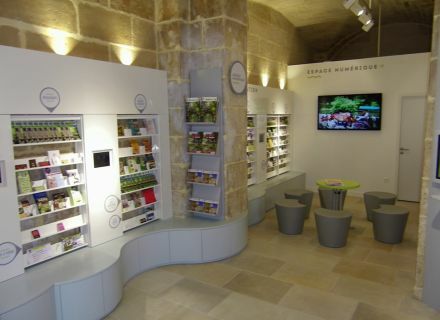 You can start looking for tourist information before requesting additions to the home agents. Finished the massive display of posters, the touch screen presents the various events in the territory. Less paper for clarity ! Offers ticketing, practical information and videos of seduction... the spotlight is made to screens with 3 TVs disseminate information continuously. Your eyes will not know where to look ! 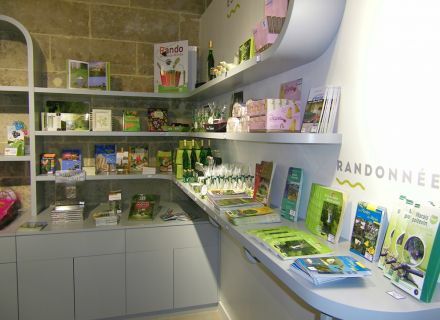 Cycling maps, hiking maps, books, local produces... find in the shop a wide and varied range for you to enjoy your stay in Niort region or to bring a souvenir for your loved ones. But more than long descriptions, it is best to go by yourself to get an idea ! 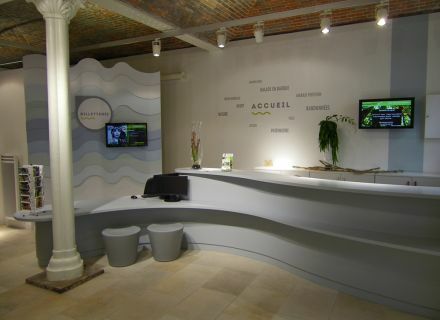 Magalie and her team will be happy to welcome you.